(CNN) - Social Security reform has taken center stage in the 2012 presidential debate and one in five say the system is unconstitutional, but a new CNN/ORC International poll shows a majority of Americans have good feelings about the program. Eight in 10 Americans think Social Security has been good for the country, with 70 percent of young adults agreeing and almost nine in 10 senior citizens saying the same. Though large majorities of both parties believe the 75-year-old program instituted by President Franklin Delano Roosevelt has been good, about one-third of all Republicans think it is unconstitutional. The campaign trail has been flooded with proposals on how to reform Social Security, and while most candidates agree the system is secure for senior citizens, the big question is what will happen to young Americans who currently pay into the fund when they're ready to retire. Most under 35 say Social Security has had no effect on their lives, but the number that say the system has been bad for them is roughly the same as the number that think it has benefitted them personally-18 to 20 percent. The adults who agree that Social Security has been good for them personally rises with age - 85 percent of seniors say the system has benefitted them. But Americans agree Social Security is facing a crisis or major problem. Almost one in five Americans say it is in a state of crisis and another half say it faces major problems. Roughly half the nation supports one proposed solution, creating a private savings account that citizens could pay into - 52 percent favor allowing workers to invest part of their Social Security taxes in stocks or bonds and 46 percent oppose that change. The CNN poll was conducted by ORC International by telephone from September 23-25, among 1,010 adult Americans. The survey's overall sampling error is plus or minus three percentage points. Translation: One in three Republicans is a moron. This is the result of over 10 years of Fox News spreading lies and propaganda. I have a rightwing sister. It's pathetic how ignorant she is. We need the fairness doctrine back if we're going to have a chance to move forward. It's time to get rid of the lies. And it's time to get profit out of our "news," after we get rid of the lies. Corporate owned media has an agenda, and it ain't to keep us well informed, that's for sure. The media in this country has turned into a joke, and should be ashamed of themselves. What is the ultimate goal here, to privatize everything and cherry pick what we hear and what we do? It's sort of creepy, if you let your mind go there. I try not to, but sometimes with polls like this, I can't help it. And I bet when its time for them to draw SS they won't turn down a check!! Fine, give me back the $120,000 plus I've put into it and dismantle it. I want CASH. oops – they spent it. AND I want interest for 47 years! Social Security is the only way some people would have money in their later years. Young people don't save now a days. For any of these reforms to work it will have to be taken out of your check. I don't have any money to save anyway. What are they thinking? Well, then one in five people disagree with the U.S. Supreme Court. This issue is settled law. Google "social security supreme court". It was settled in 1937. End of story. You do not have to agree with the decision, but you must respect it. If you do not respect it, then you do not respect the laws of this country. Social Security was created because so many Americans lost their life savings during the crash of 1929. So the government stepped up to the plate and said, "Invest with us. We are not out to make a profit." Your money is guaranteed to be safe." In other words, the only reason we have Social Security is because of corporate greed. Somalia doesn't have Social Security or Medicare. How is that working out? Americans should be able to opt out of social security. 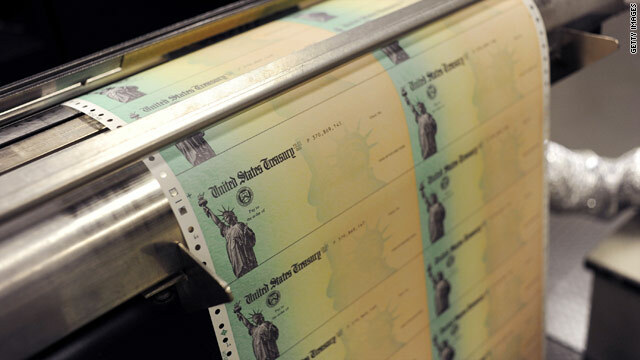 If I agree not to collect social security when I retire then I shouldn't have to pay taxes into it now. I agree to take responsibility for funding my own retirement – I shouldn't be forced to fund somebody else's as well. The government is providing us with mandatory retirement/disability insurance, A.K.A. Social Security. They have some issues and unlike a regular insurance company they have a very difficult time raising their rates, but insurance is what Social Security is and should be. Of course, as we pay the insurance premiums and hear that the insurance benefits will be going down (no, I'm not talking about your private health insurance, those premiums skyrocket while the benefits disappear) we grumble and try to convince ourselves that we don't need it and we don't need government (add an explicative if you need to). But here's the catch, you never know what the future holds. If anyone in that tiny percentage is over 65, they should be forced to pay back anything they've been given out of the system....they should also be removed from all government supported heath care immediately. Social Security would be fine if the politicians would keep their hands off it. We can thank Jimmy Carter for that. This is as informative as finding that 20% of Americans believe in Bigfoot and alien abductions. We have a profoundly ignorant segment of the population, and the survey highlights that most of them are repubicons. So the 80% who are not so profoundly interest have a duty to the country to make sur ethat profoundly ignorant 20% does not have any political power through the tea bag faction and their hostages in the gop leadership. Then let that one in five not collect it. Yet another attempt for the Ayn Rand types to make the poor suffer. Vince...you are an idealogical buffoon. I love it. Its all the republican's fault. All right wing conservatives are stupid idiots. You're so smart because you're a liberal. Sure, lets keep social security around because young people don't save. Lets run their lives because they're too stupid to save for their own future. Wait, they must be the right wing conservatives that you just said want to dismantle the system. No that's me. The guy who's saved his whole life for retirement. The guy who's scrapped and saved his pennies. The guy who, when the system fails, will be okay because he was RESPONSIBLE. Grow up and take care of yourselves people. A direct result of the success of the right wing noise machine. Give 'em credit. Their efforts to spread misinformation, bald face lies and divide the nation has been largely successful. The Rovian idea of a fired up minority giving a conservative tilt to the powers that be (no matter what the cost to the people or the nation) continues to succeed. "That 1 in the 5, "Are well to do Republicans OOOR, a Moron??? End of story? It's a shame all the partisan hype has people thinking SS is in worse shape than it is. For one, it is NOT contributing to the current national deficit. It isn't even projected to take in less revenue than it spends out until the mid-2030s...and anyone who knows anything about projections knows 25 year out projections aren't worth much. Only the disability side of SS is in trouble. We shouldn't be talking about gutting a program doing just fine. Also, to those in favor of privatizing a portion, let me ask how your 401 is doing?? Privatizing SS is the equivalent of moving from a pension system to a 401 (you can outlive your money in a 401 pretty easily). The trouble is, most in my generation and younger just don't understand SS and the value of it. They listen to the hype and believe they won't have it. Even if it goes in the red in the mid-2030s, when us GenX and younger generations retire, there's fewer of us so the temporary hemmorage from the boomers will pass and the system will be fine again. If the young keep being so cynical, it will make it easy for politicians to gut the program.